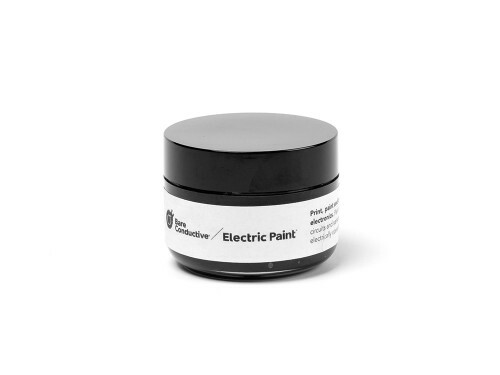 Draw circuits, solder components and repair devices on a range of surfaces with electrically conductive paint. Try it out, draw a circuit! 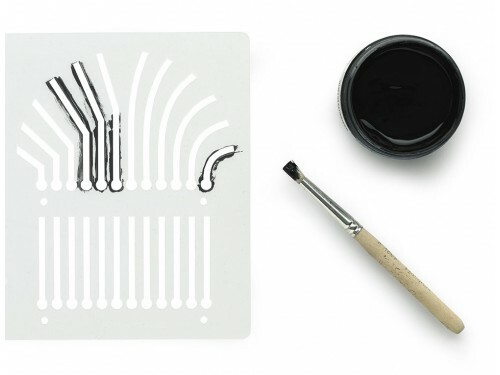 Bare Conductive’s Electric Paint provides a great platform for discovering, playing, repairing and designing with electronics. 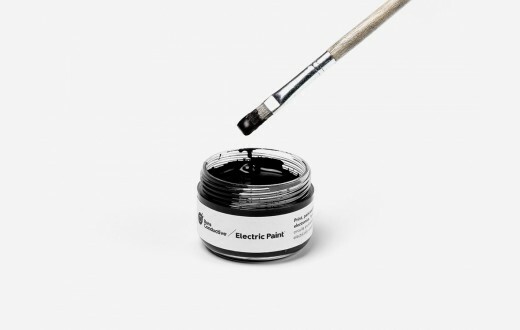 Electric Paint can be used as both a liquid wire and a conductive adhesive. This handy pen allows you to draw circuits and attach small components to your projects. 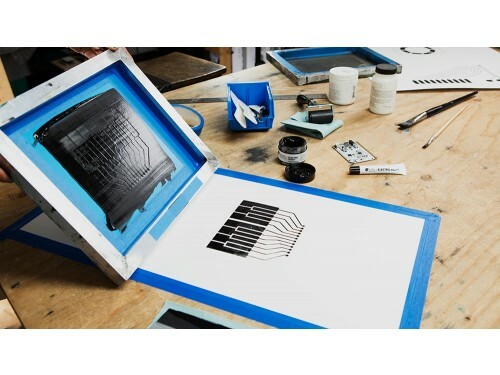 The Electric Paint is a great prototyping tool for makers of all ages. Works great on many materials including paper, plastic, textiles and conventional electronics. Once applied the paint dries quickly at room temperature, and can be removed with soap and water. Electric Paint is nontoxic, solvent free and water soluble. 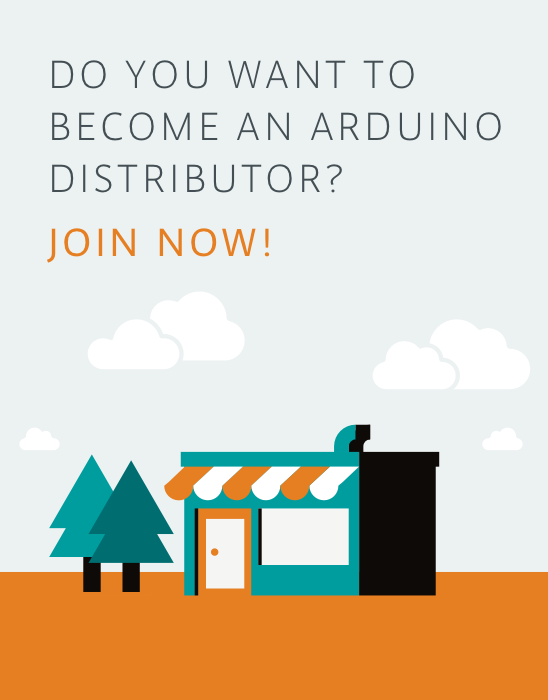 Works with: Electrical components, prototyping materials, PCBs, microcontrollers, e-textiles, and conductive thread. Directions: Apply with a brush, roller, or screen print. 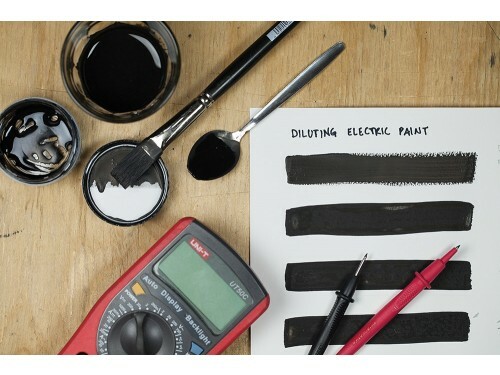 Leave to dry for 5 minutes, electric Paint becomes conductive when completely dry.